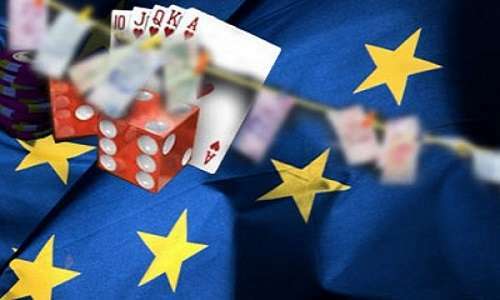 The European Gaming & Betting Association (EGBA) is again taking to task the European Commission and the majority of European member countries for continuing to fall short in providing uniform online-gambling guidelines and regulations and consumer-protection policies for gamblers playing on the hundreds of EU-based sites. In a press statement issued this week, titled “Lack Of EU Betting Rules Is Gambling With Online Players’ Safety”, the EGBA again reiterated its calls for uniformity in the online-gambling sphere. The EGBA again hammered the European Commission for failing to follow through on its 2014 promise to encourage EU member countries to “establish stronger and more consistent consumer protection rules for online gambling.” As the EGBA’s latest noted, the European Commission was due to review the implementation of those guidelines in 2017, but that never happened… for reasons the EGBA clearly understands but chose not to delve into in detail. Back in December of 2017, under pressure from numerous EU nations and continued noncompliance with earlier CJEU rulings, the European Commission gave up pretending to regulate online gambling entirely, ceding that business sphere to each individual EU member state. Unfortunately, as the EGBA has continued to point out, the EC’s abdication of its regulatory oversight responsibilities transferred responsibility to understand the rules of each of the 27 EU member countries to online gamblers themselves. That’s left consumer-rights policies as a patchwork quilt across Europe, with few gamblers likely to understand what their rights are when gambling on an site licensed outside their own country. Even within one’s own country, consumer protections are often subpar. Take self-exclusion programs, for instance: The recent EGBA study found that barely half of the studied EU countries — 14 of 27 — even offered a national self-exclusion registry for problem gamblers. Despite its arguably correct stance, the EGBA is still battling up a steep cliff on this issue. Still, it’s a worthy battle. As Haijer wrote, “These are major failings in the effort to keep Europe’s citizens and gamblers safe online — and they could easily be avoided. Even some basic safeguards are not available everywhere in the EU. As a result, it is fair to say that the ambitions of the Commission’s 2014 guidelines have not been realized. “That is why the EGBA calls for more common EU rules and safeguards to better protect Europe’s more than 12 million online gamblers. A common rulebook would establish the strong and consistent safeguards needed to protect Europe’s citizens, particularly vulnerable groups, such as minors and problem gamblers.